as i've mentioned before, i'm currently eating vegetarian for 49 days in honor of my mom. i only have a week left to go! every year, it gets a little easier as i find more and more recipes that make the transition seamless. "shaking beef" is an incredibly popular vietnamese dish. one day, i'll share the recipe for that, but in the mean time this is my vegetarian take on it using tofu instead. 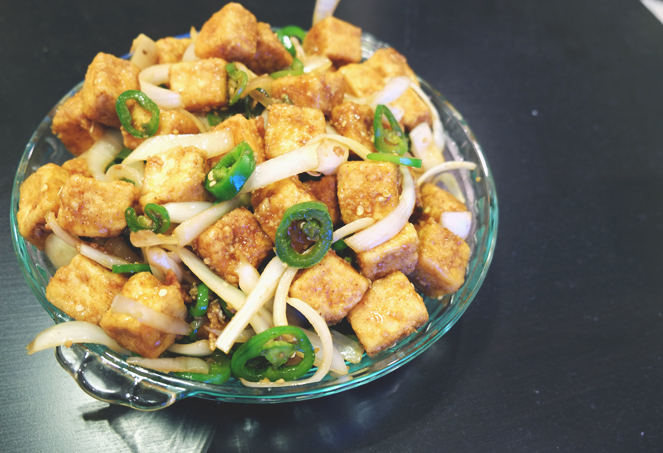 the rich and savory flavor of the tofu paired with a fresh watercress salad makes for one of my favorite dishes ever - with or without meat. Prepare vinaigrette by mixing rice vinegar with salt and sugar. It should be a balance of sour, salty and sweet. Thinly slice the red onion and use about 3-4 tbs of the vinaigrette to pickle and set aside covered in fridge for about 10 minutes. Prepare bed of watercress and tomatoes in a serving platter and set aside. 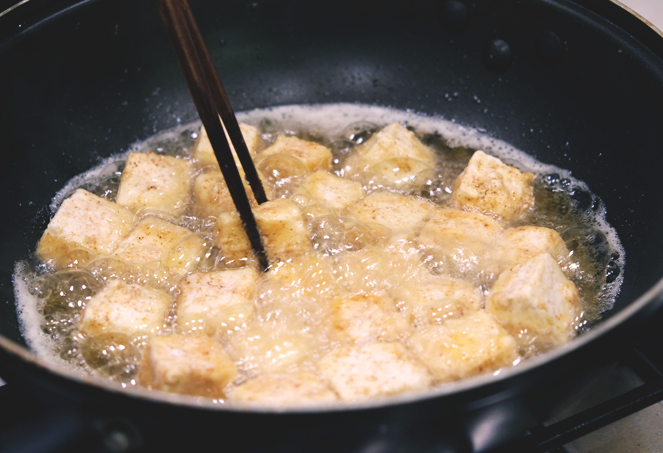 Serve tofu with watercress salad and rice. Enjoy!